Today, the new CERN-MEDICIS facility has produced radioisotopes for medical research for the first time. MEDICIS (Medical Isotopes Collected from ISOLDE) aims to provide a wide range of radioisotopes, some of which can be produced only at CERN thanks to the unique ISOLDE facility. These radioisotopes are destined primarily for hospitals and research centres in Switzerland and across Europe. Great strides have been made recently in the use of radioisotopes for diagnosis and treatment, and MEDICIS will enable researchers to devise and test unconventional radioisotopes with a view to developing new approaches to fight cancer. A chemical element can exist in several variants or isotopes, depending on how many neutrons its nucleus has. Some isotopes are naturally radioactive and are known as radioisotopes. They can be found almost everywhere, for example in rocks or even in drinking water. Other radioisotopes are not naturally available, but can be produced using particle accelerators. MEDICIS uses a proton beam from ISOLDE – the Isotope Mass Separator Online facility at CERN – to produce radioisotopes for medical research. The first batch produced was Terbium 155Tb, which is considered a promising radioisotope for diagnosing prostate cancer, as early results have recently shown. Innovative ideas and technologies from physics have contributed to great advances in the field of medicine over the last 100 years, since the advent of radiation-based medical diagnosis and treatment and following the discovery of X-rays and radioactivity. Radioisotopes are thus already widely used by the medical community for imaging, diagnosis and radiation therapy. However, many isotopes currently used do not combine the most appropriate physical and chemical properties and, in some cases, a different type of radiation could be better suited. MEDICIS can help to look for radioisotopes with the right properties to enhance precision for both imaging and treatment. “CERN-MEDICIS demonstrates again how CERN technologies can benefit society beyond their use for our fundamental research. 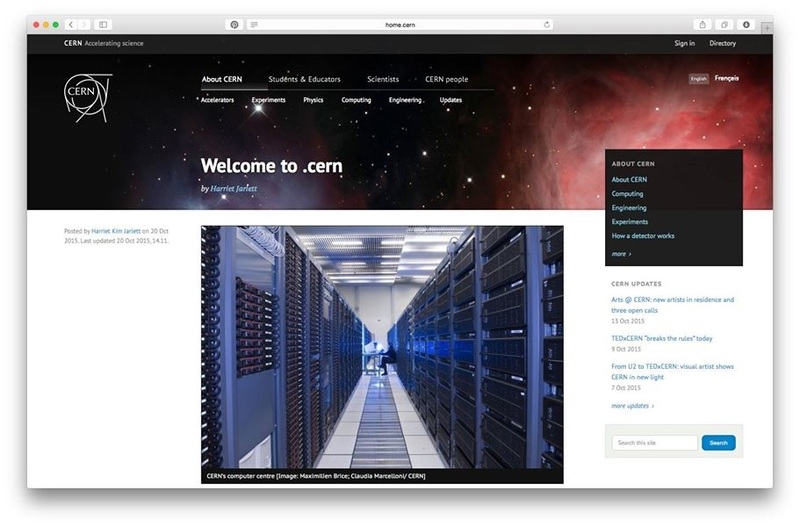 With its unique facilities and expertise, CERN is committed to maximising the impact of CERN technologies in our everyday lives,” said CERN’s Director for Accelerators and Technology, Frédérick Bordry. 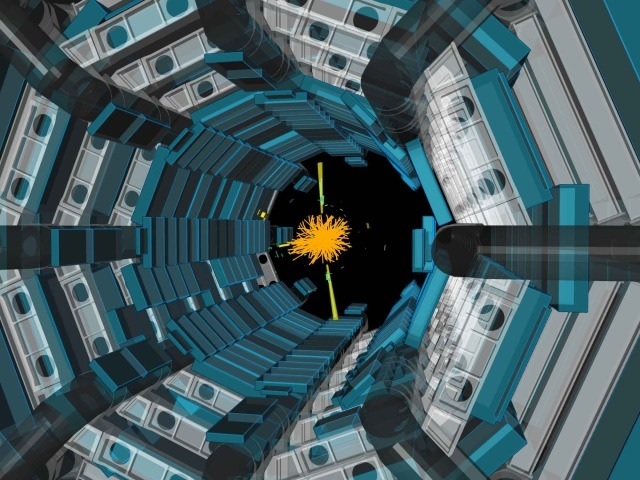 At ISOLDE, the high-intensity proton beam from CERN’s Proton Synchrotron Booster (PSB) is directed onto specially developed thick targets, yielding a large variety of atomic fragments. Different devices are used to ionise, extract and separate nuclei according to their mass, forming a low-energy beam that is delivered to various experimental stations. MEDICIS works by placing a second target behind ISOLDE’s. Once the isotopes have been produced at the MEDICIS target, an automated conveyor belt carries them to the MEDICIS facility, where the radioisotopes of interest are extracted through mass separation and implanted in a metallic foil. They are then delivered to research facilities including the Paul Scherrer Institut (PSI), the University Hospital of Vaud (CHUV) and the Geneva University Hospitals (HUG). Once at the facility, researchers dissolve the isotope and attach it to a molecule, such as a protein or sugar, chosen to target the tumour precisely. This makes the isotope injectable, and the molecule can then adhere to the tumour or organ that needs imaging or treating. ISOLDE has been running for 50 years, and 1300 isotopes from 73 chemicals have been produced at CERN for research in many areas, including fundamental nuclear research, astrophysics and life sciences. Although ISOLDE already produces isotopes for medical research, the new MEDICIS facility will allow it to provide radioisotopes meeting the requirements of the medical research community as a matter of course.